The land of Altera has observed an uneasy peace for years among Humans, Elves and Evil beasts who are loyal to the legendary Black Dragon. But the Black Dragon begins to stir from its hibernation, sending the Beasts marching across Altera. 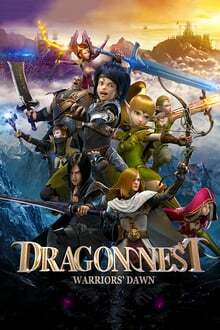 With a beast conquest perilously close, a small group of Humans and Elves unite to try to find a secret hidden road to the Black Dragon’s cave and destroy it. But the fate of all of them may be in the hands of the young warrior Lambert, who must summon the confidence and skill to face the Black Dragon himself just when all may be lost.